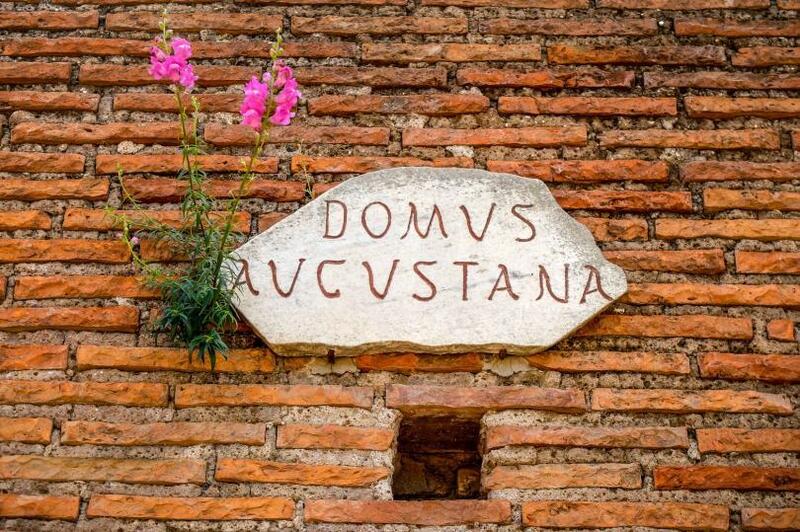 The Domus Augustana consists of the remains of the grand residential and reception rooms of the imperial palace of Domitian (augustana = imperial). 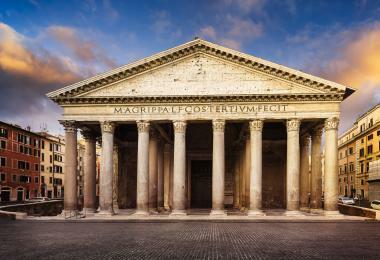 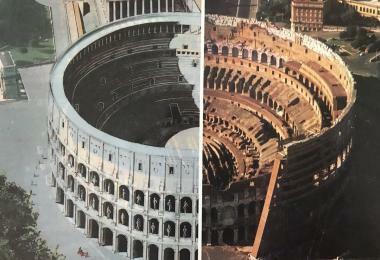 Even today, the magnificence of the monumental but harmonious design is impressive. 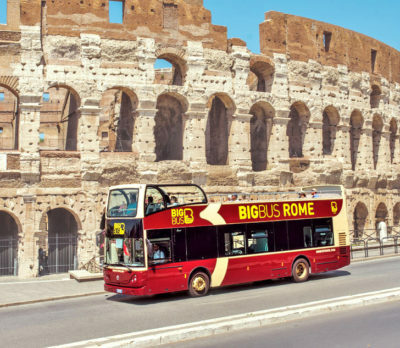 Like the Flavian Palace, it was erected in the reign of Domitian, and initially served as the imperial residential palace; later, until the Byzantine period, it was also the residence and workplace of the highest officials. 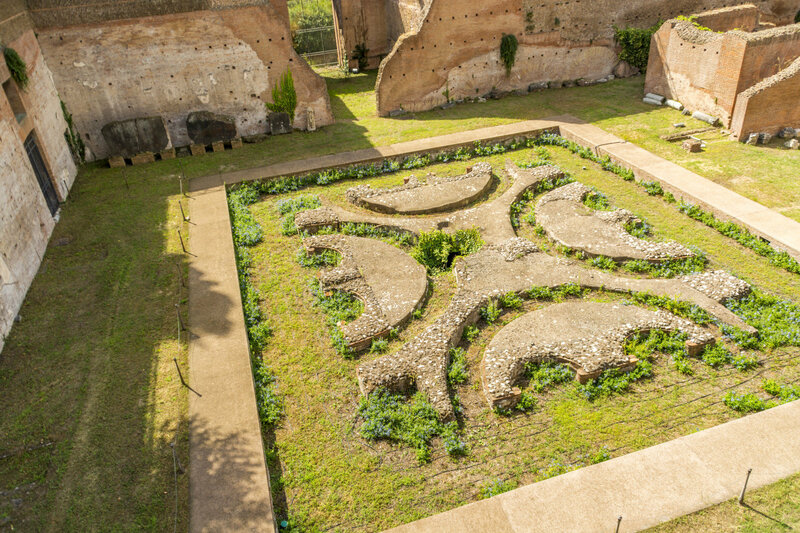 Ruins of the Roman Domus Augustiana on Palatine Hill, Rome, Italy. 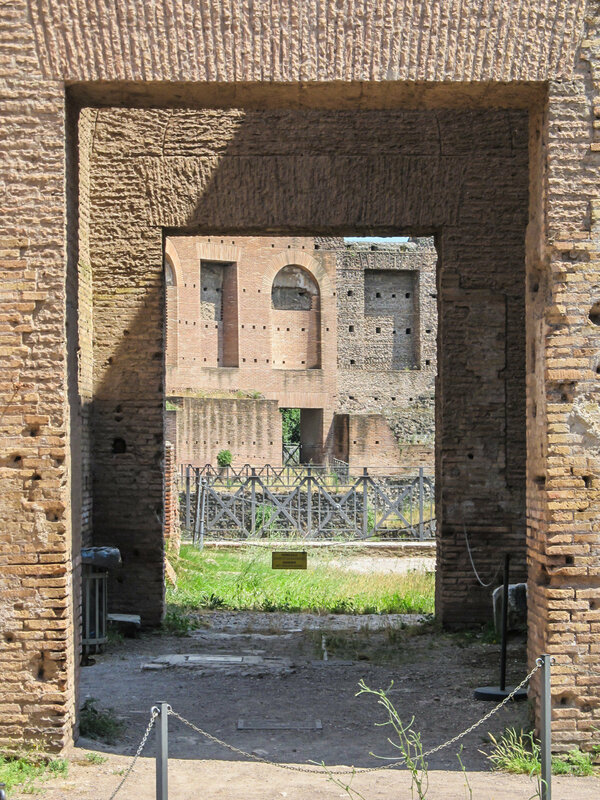 The private wing of the Palace of Domitian was built on two levels to contain the slope of the Palatine Hill. 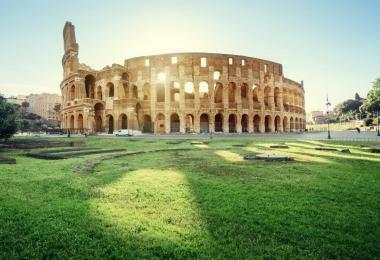 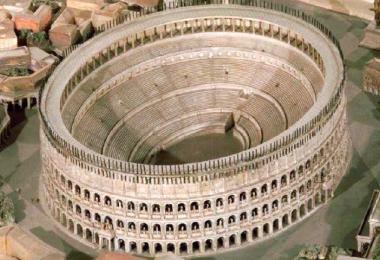 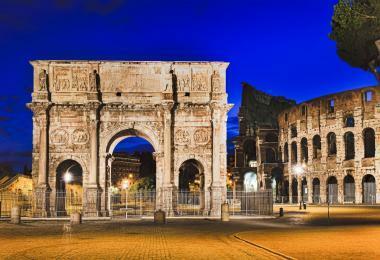 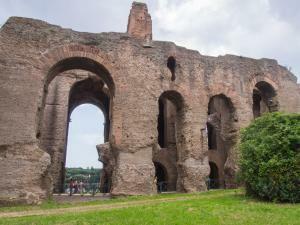 Its curving facade with the main entrance faced the Circus Maximus. 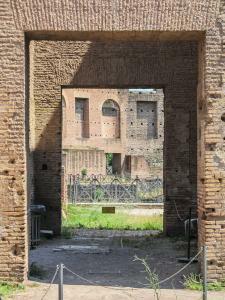 On entering from this side, one passed through the outer chambers and came to an inner court surrounded by columns (called a peristyle). 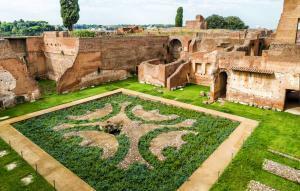 This was largely occupied by a monumental fountain decorated with a pattern formed by four peltae, shields shaped like halfmoons legendarily used by the Amazons. Round this courtyard were ranged symmetrically the rooms of the house of Domitian, set on two floors and with vaulted ceilings. 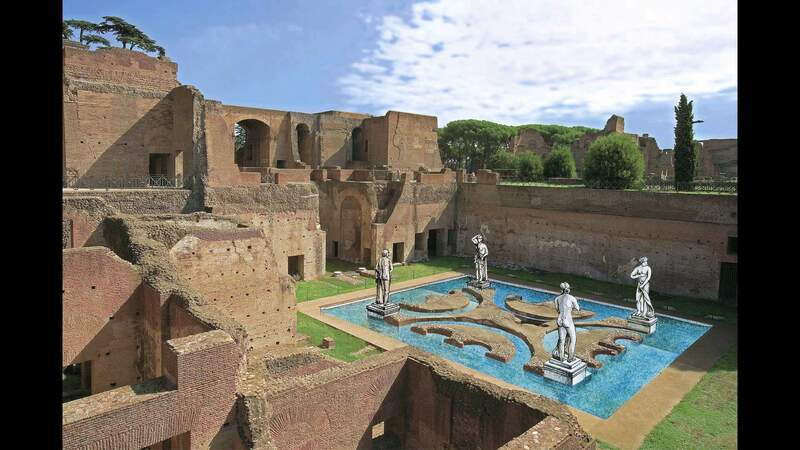 A staircase led to the upper floor, the official residence, where a second peristyle was decorated with a large pool with a little island in the middle, on which stood a temple, perhaps to Minerva. 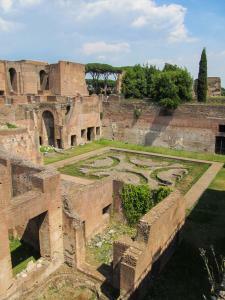 The emperor probably only occupied the rooms on the upper floor, recognisable by their complex layout and small size. 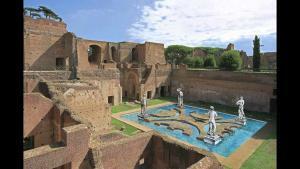 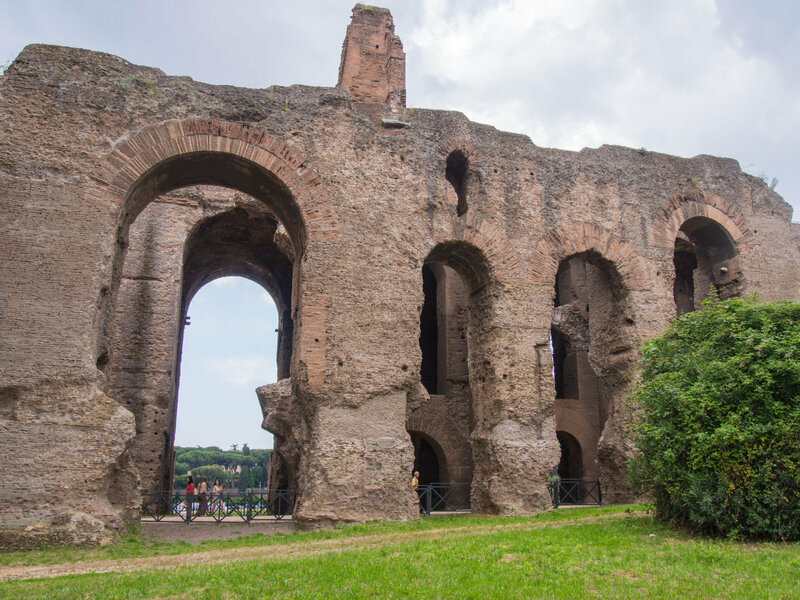 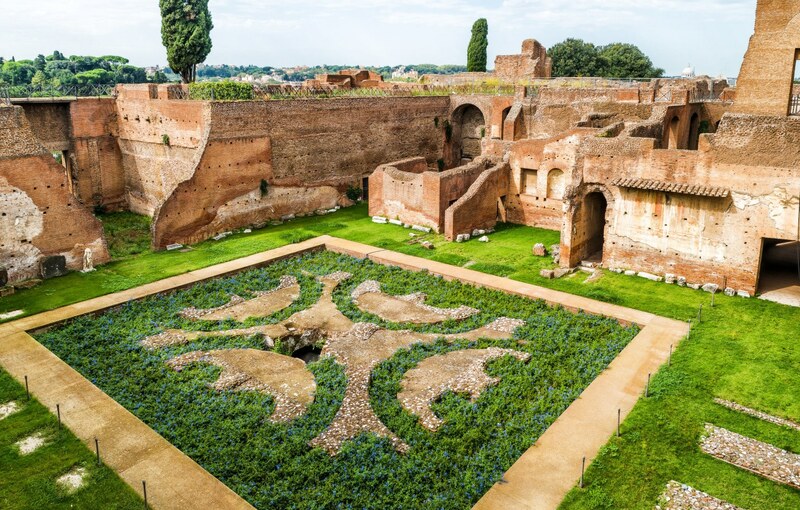 Domus Augustana is the first major site upon entering the Palatine Hill in Rome, Italy. 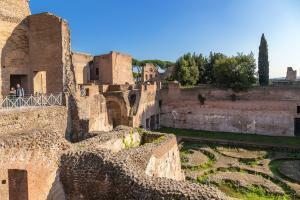 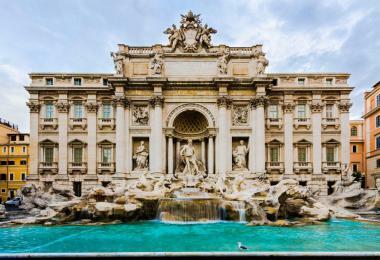 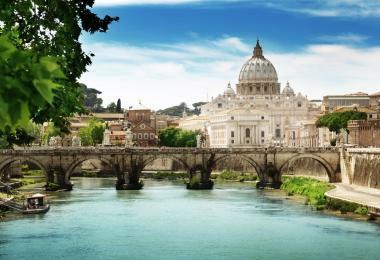 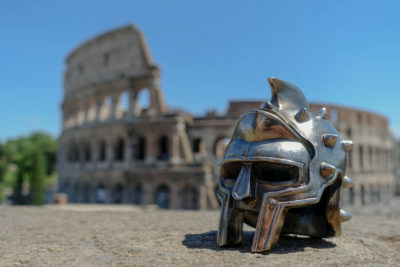 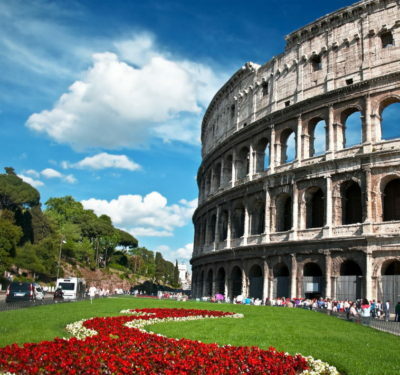 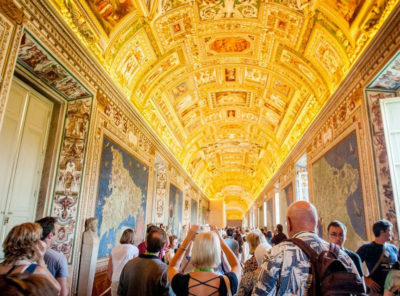 It served as the primary residence of Caesar Augustus during his reign. 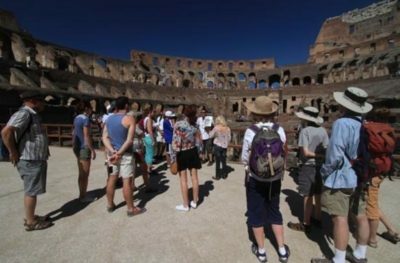 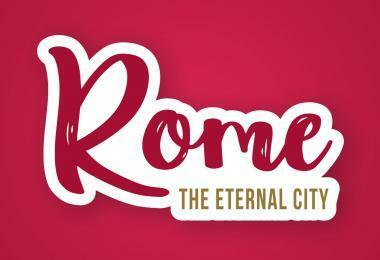 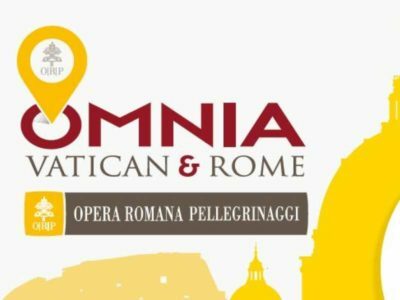 Beside the palaces, Domitian built the Hippodrome of Domitian, some of the Palatine’s most extensive ruins—whether as a sunken garden or as a stadium for his personal entertainment is unknown. 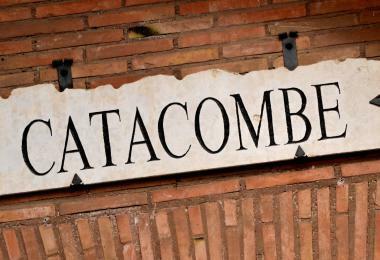 It may have been here that the attempted martyrdom of St. Sebastian took place. 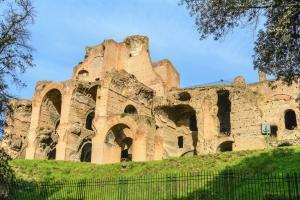 Domus Augustana set in the Palatine Hill, 0,45 km from (6 min walk) from Colosseum.